Symbiosis- a relationship in which both partners benefit from each other. 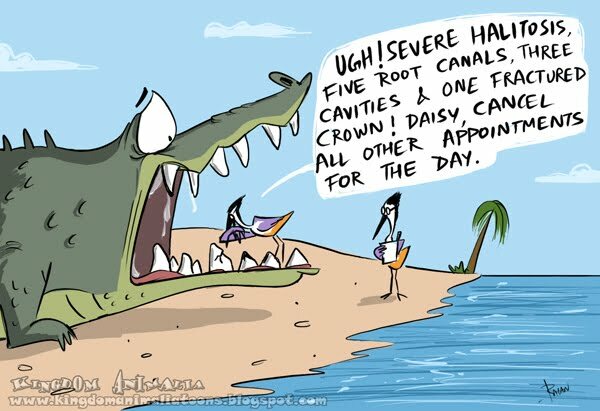 One such example is that of the Nile Crocodile and the Egyptian Plover. The crocodile opens its mouth wide to let the plover in. the plover gets a free meal by cleaning the crocodile’s teeth clear of food debris, not getting eaten in return and not even paying the bills for its meal. 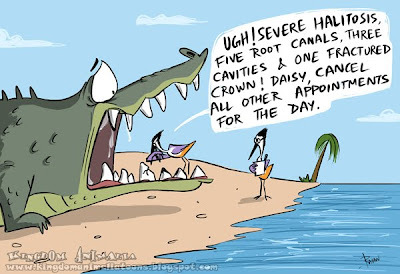 Considering the fact that crocodiles love rotten, decaying meat, the plover's job doesn't seem to be one for the squeamish!